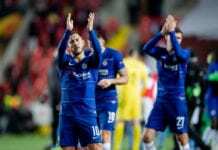 Chelsea striker Olivier Giroud revealed that Gonzalo Higuain’s arrival certainly darkens his future and opened the door towards a potential return to France. The French World Cup winner left his homeland in 2012 for Arsenal after helping Montpellier beat Paris Saint-Germain to the Ligue 1 title. Last year then saw Giroud make a controversial switch to Arsenal’s London rivals Chelsea after a lack of game time at the Emirates Stadium. However, under coach Maurizio Sarri, Giroud has fared little better with just six starts in the Premier League this season. This has led to reports linking Giroud with a return to France with both Marseille and Lyon. Speaking to CANAL Foot Club, prior to Higuain’s arrival last week, Giroud indicated a return to Ligue 1 could happen even if his priority is to remain in England. “I will never make people unanimously satisfied with me,” admitted Giroud. “There is a little part of regret and frustration. The public expects a goalscorer to score goals. I’m the fourth best goalscorer of French football and nobody can take that away from me. 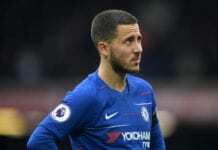 “The coach makes [Eden] Hazard play nine which is detrimental to strikers. But he is the best player I’ve ever played with. 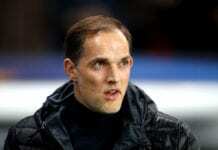 “If the club decides to get another striker, like Higuain, it will certainly darken my future at Chelsea. 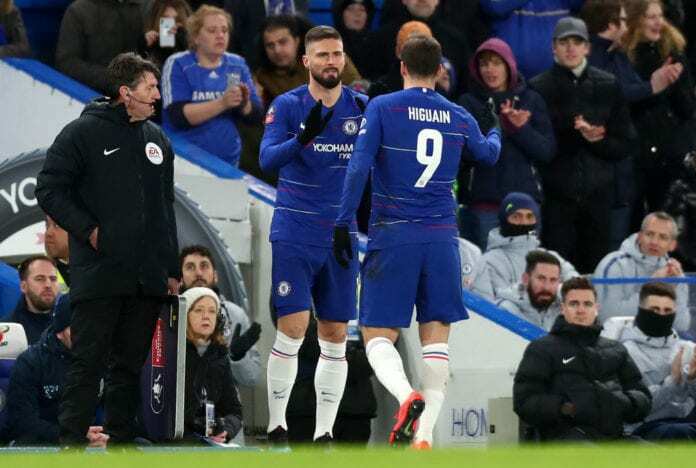 Higuain made his Chelsea debut on Sunday in their 3-0 FA Cup win over Sheffield Wednesday at Stamford Bridge and was replaced by Giroud in the 82nd-minute of the fourth-round clash. 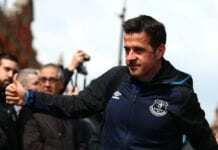 The Blues will next take a trip to the Vitality Stadium where they will face Bournemouth in a Premier League match on Wednesday with kick-off set for 20:45 (CET).